Nathan Myhrvold, former chief technology officer at Microsoft and onetime postdoctoral cosmology researcher with Stephen Hawking, likes to play with his food. In November, the lifelong photographer and chief mad scientist of Bellevue’s world-famous food and science lab, Modernist Cuisine—which shares the name of his 2011 James Beard Award–winning multi-volume cookbook—opened the Modernist Cuisine gallery (10 a.m.–6 p.m. daily; free; downtown, 1403 First Ave.; 206.623.1226), devoted to his food photography. 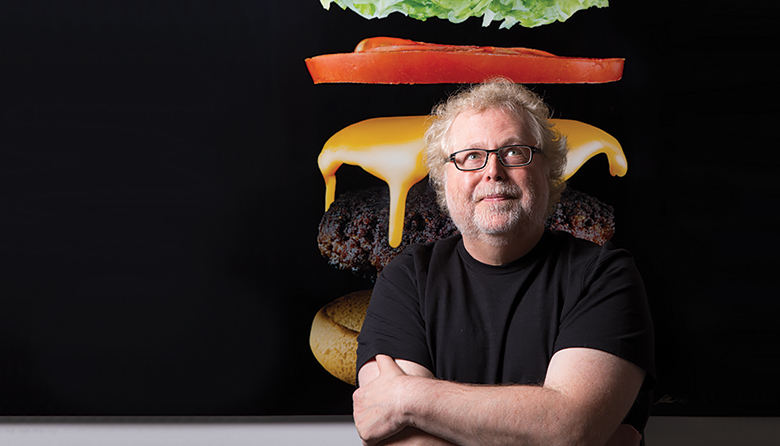 In an era saturated with amateur food pics—thanks, Instagram—viewers seem hungry enough for these photographs to support his expanding empire of galleries (his fourth, in La Jolla, California, is set to open in March). Myhrvold hopes his hypermagnified images of food, which often resemble distant galaxies or parched landscapes, such as the desert arches that seem to appear in an image of a crusty loaf of bread, will whet his viewers’ appetites for wonder. “You didn’t realize you were eating Monument Valley, did you?” he asks.